Could you paddle 8,600 miles in one year? One woman plans to break a world record by doing exactly that, and FootStake is proud to help her along the way. Traci Lynn Martin, a 52-year-old paddle enthusiast from Missouri, wanted to do something no one had ever done before. An experienced kayaker, she decided to tackle the world record for most miles paddled in a single year. It was a lofty goal, but she was determined. She wanted to accomplish this amazing challenge not just for herself, but to inspire others, too. Traci has rheumatoid arthritis and she thought her journey could prove that anyone can pursue their passions, no matter what challenges they may face. Traci’s journey began on March 9, 2017. 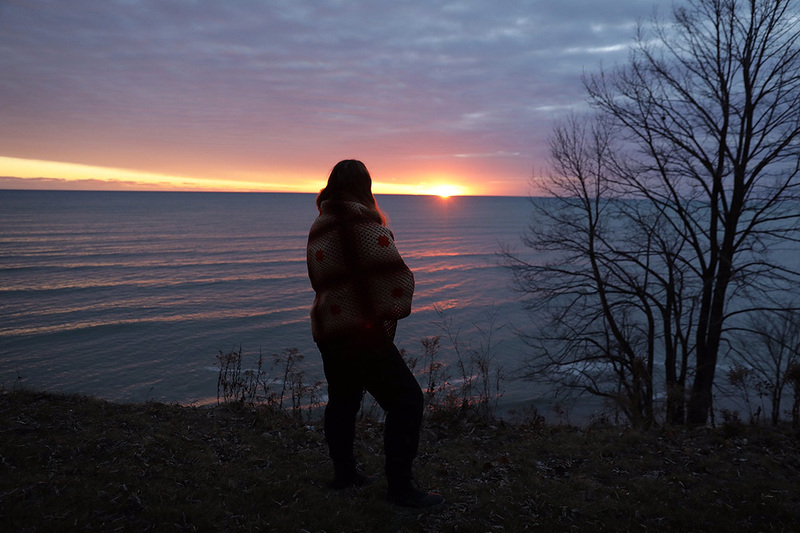 She lifted her kayak into the water from a Lake Huron beach in Michigan and started paddling through the cold, icy waters as a crowd on the shore cheered her on. If all goes well, her route will take her along the Lake Huron coastline to Lake Michigan, then back into Lake Superior. After that, she’ll head south on the St. Clair River to conquer two lower Great Lakes. What does Shore Tee by FootStake have to do with all of this? In addition to sharing Traci journey with our friends, family, and fans, we’ve outfitted her with a set of Shore Tees FootStakes to use on her quest. Our FootStakes will help keep her kayak safe and secure while she takes on this amazing challenge, battling long days, wind and ice, and whatever other challenges the journey throws at her. No matter what, she’s ready! FootStake is proud to sponsor Traci Lynn Martin as she attempts to set a new world record! We hope you’ll follow along on Twitter, in the news, and on our Facebook page. Good luck, Traci—we’re rooting for you!